With comparisons to ‘Game of Thrones’, Joan He’s debut delivers with plenty of pain and heartache included. How to sum up Descendant of the Crane? Readers are sure to fall in love with this world and its characters only to get their heart ripped to shreds. Princess Hesina of Yan has always been eager to shirk the responsibilities of the crown, dreaming of an unremarkable life. But when her beloved father is found dead, she’s thrust into power, suddenly the queen of a surprisingly unstable kingdom. What’s more, Hesina believes that her father was murdered – and that the killer is someone close to her. Hesina’s court is packed full of dissemblers and deceivers eager to use the king’s death for political gain, each as plausibly guilty as the next. Her advisers would like her to blame the neighboring kingdom of Kendi’a, whose ruler has been mustering for war. Determined to find her father’s actual killer, Hesina does something desperate: she enlists the aid of a soothsayer – a treasonous act, punishable by death, since magic was outlawed centuries ago. Using the information provided by the sooth, and uncertain if she can trust her family, Hesina turns to Akira – a brilliant investigator who’s also a convicted criminal with secrets of his own. With the future of Yan at stake, can Hesina find justice for her father? Or will the cost be too high? Hesina’s father has just been killed and she’s thrust into a position of power she isn’t sure she’s ready for. Her kingdom is full of hate that doesn’t match her own heart. How can she fix the problems they face? Despite her conflicting feelings, she puts on a brave face and becomes the queen she has been trained to be. And this is why I loved her. She’s a fierce yet vulnerable character. There aren’t many people Hesina trusts, not even her own mother — but there are her adopted siblings. Lilian and Caiyan are just as interesting as Hesina herself. Actually, the entire royal family is intriguing! Outside of the twins there is Hesina’s brother, Sanjing, and these two have the most complicated relationship in the family. Their interactions were my favorite because despite the feelings they carefully decide to show one another, there is an undeniable connection that remains. There are massive tangles in this family which were fun to read about. Descendant of the Crane explores many themes in a brilliant way. One is examining what makes a person good or evil. Joan He does a fantastic job building characters who don’t fit into either box. They’re human and their actions speak volumes. Just when we’re led to believe someone is good, we’re left questioning their true intentions. Hesina decides to find the truth behind her father’s death. She believes he was murdered and is ready to take her case to trial. She will do anything to reveal the truth even if it’ll further deepen her grief. Which in her moments alone is completely relatable. 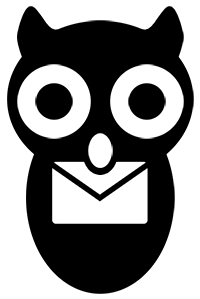 In these silent moments the readers will be able to connect with her on a different level. Her deep love for her father will make you root for her as well, but it’ll also make the reveals throughout hurt much more. In the end, you’ll truly feel for Hesina. Before the trial can begin we meet Akira who is the boy that will help Hesina find the truth. Akira is a mysterious and kind soul, and I was immediately drawn to him needing to know more (just like Hesina herself)! There is a dash of romance in this book but it never takes center stage. The little sweet moments shared between the two are pure and readers will love it! Descendant of the Crane delivers something fresh to the world of fantasy. Whether it’s through the political scheming or court intrigue, Joan He delivers in her debut. Her vivid world building matches the plot and twists. It’s a slow-paced book exploring the inner workings of the court while still being an interesting murder-thriller with fantasy elements. The final act of this book is mind-blowing. It all goes back to Joan He exploring her characters and questioning what makes them good or evil. And it is amazing. 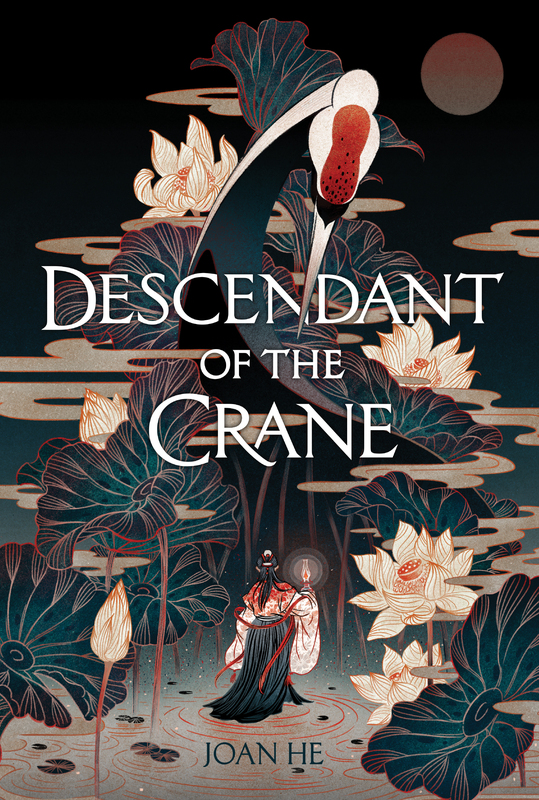 I can’t rave enough about Descendant of the Crane! If you love fantasy then this book is a must-read. It releases on April 9th and trust me, you need this book on your shelf ASAP! A lot of riveting twists and turns. It’s hard to believe Descendant of the Crane is Joan He’s debut. Her writing captivated me from the amazing world building to the crazy family dynamics. Every character will pull at your heartstrings and you’ll be craving to know more about them. Which only makes it hurt more when you realize everyone has a role to play in a deadly game. Joan He delivers the heartache so well that I promise you’ll lose a few hours of sleep from this book!